A campaign for those who want to spend less time recovering and more time doing. This campaign highlights the spa like recovery center available after surgery. 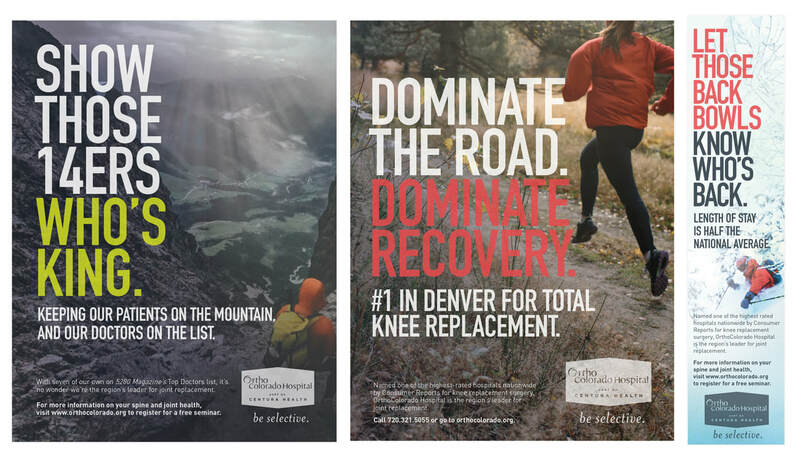 The idea of being selective lends itself to the fact that although patients can go anywhere for recovery, Ortho Colorado is the top choice for athletes and outdoor enthusiasts. This Ortho Colorado campaign speaks to all the outdoor enthusiasts who want to spend less time recovering and more time doing what they are passionate about. The photography choice and headlines clearly show that after surgery at Ortho Colorado, you will be back to doing what you love.